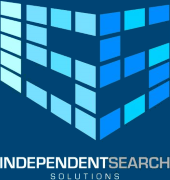 At Independent Search Solutions, we meet all our candidates before and after their Interviews (1st / 2nd / 3rd) and like an expecting Father in the Maternity Waiting Room, there is lots of nail-biting. The first thing I do when I speak with a candidate after an interview is shut up, let them talk and in the process, I will get a far better understanding of what they thought, what they feel the Hiring Manager was thinking and what is ultimately going to happen next. If you are looking for a career move in 2018 why not contact Independent Search Solutions, as a bespoke agency we meet all our candidates for Interview Prep and ensure they are fully briefed before they go into any Interview.